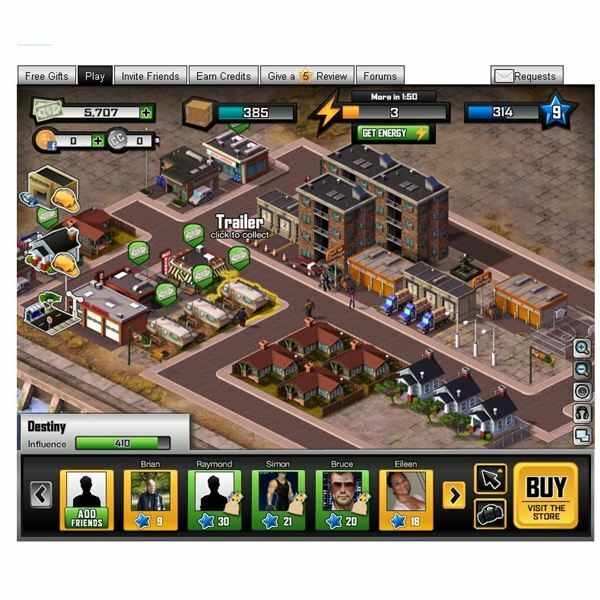 Capital City is a bit of a mafia city builder as well as a copy of Zynga’s CityVille. In the game, you are in charge of the streets and you need to build homes, businesses, and various community buildings to gain city influence. As you gain influence, you’ll be able to build more structures and expand your city limits. The game features a goods system, which delivers to your businesses via trucks. 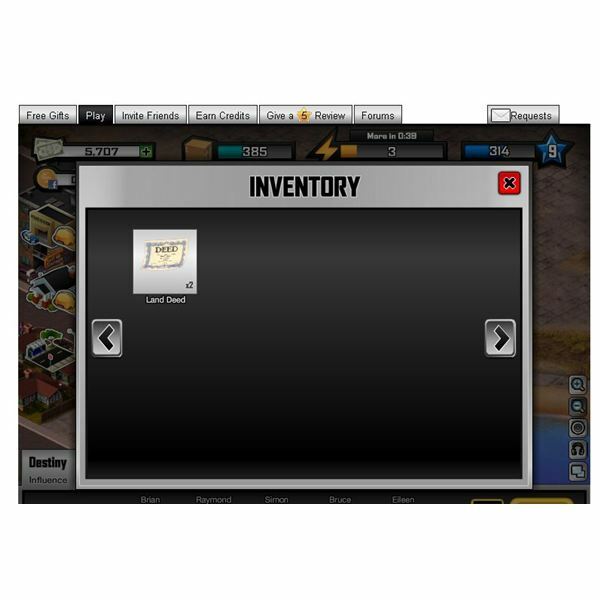 You can buy storage facilities to increase the levels of your stored goods. 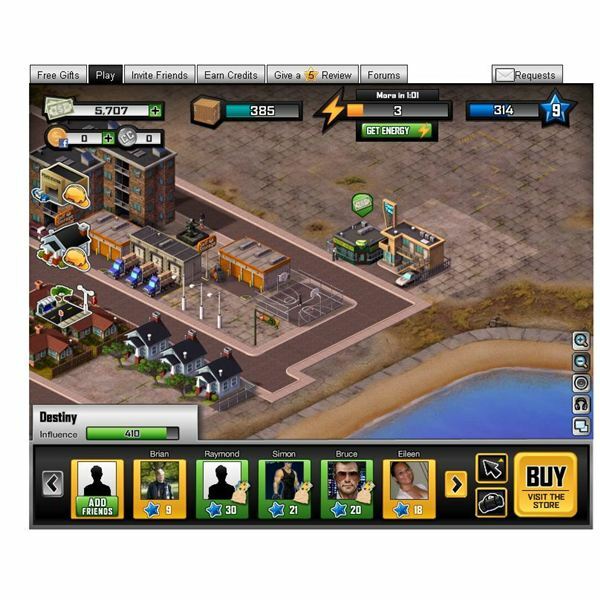 The game used the common energy points that other Facebook games use to collect to perform task in the game such as collecting money from businesses and building structures. The store features a number of different decorations for your city but these don’t raise your influence levels. The game features a number of residences for your city such as homes, motels, row housing, apartments, condominiums and other dwellings. Each residence you build in the game helps to raise your influence levels and bring in rent for the city. The game features businesses such as a gas station, pizzeria, diner, and used car lot, which use goods. You can buy goods from the truck depot, which sends out trucks to collect your goods and then you can distribute your goods to the businesses for income. Community buildings help to increase your city population levels and most require Facebook friends as employees for the structure to function. These buildings include a post office, fire station, bank, police station, and you collect money from them over time for the city. Once you expand, you can also buy a dock to bring goods into your city. The game features the same basic types of decorations you’ll find in other city builders. You have roads, signs, shrubs, trees, a dumpster, fire hydrant and a few other decorations. There are not enough decorative options in the game to get excited about. Player can get deeds from Facebook friends and use game coins to buy small expansion areas on the map for city expansion. The city expansions are far too small and the overall expansion area of the map is limited so you end up with a small compact city. In the sound department, Capital City shines. On the game map, you’ll see little people walking around and if you click on them, they will grumble and talk to you. When you click on homes and businesses, you get similar feedback from the people in the structure. The soundtrack also fits the game and reminds you of old 70s style movies. The sound features give a nice interactive experience for the game player and is the highlight of the game. Some examples of the great sounds include dogs barking, police sirens, and general chatter as you play. The look of the structures is decent enough but the graphics aren’t outstanding by any means. This city builder has the best sound of any other Facebook game in this genre on Facebook. The game features many of the typical quests you’ll find in Facebook city builders. You’ll need to complete a few structures for some coin rewards or put up a special building before you can continue expanding your city. The quests do teach you about the game and they are a welcome addition but there’s no real story to the game. This game doesn’t have much of a multiplayer feature. You can send your friends gifts such as city deeds, energy and decorations. Players can visit the cities of Facebook friends and perform tasks to help them out for cash, energy points and experience. Typical tasks include tipping businesses and collecting money from your friend’s residences. You can top your energy levels if you have plenty of Facebook friends by collecting one point from each friend per day that you play the game. Capital City is a decent Facebook city builder but the game plays a bit too much like CityVille. The game has a great soundtrack with human voices, which gives your city a lived in feel and is a huge plus for the game. On the downside, the game map is small. More structures and decorative options would improve the game. You need influence to build structures and at the lower levels, you don’t have enough options for city variety. You end up with a clone city where most of the buildings are the same since you’re trying to gain that influence to keep building and expanding your city. This game is recommended due to the excellent soundtrack but needs some more game play options before it can compete with the other more established Facebook city building games.